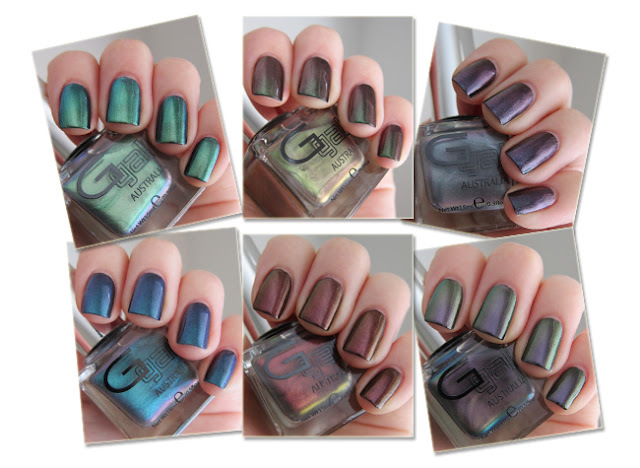 Duo Chromes Multi-dimensional metallic special effect nail polish which shows a “Metallic Chrome” like finish which changes colour when viewed from different angles. They can be worn by themselves for a soft look or for a more dynamic strong look layer over Serpent Black for a full Metallic appeal. They're Gem Stone Top coat compatible if you wish but not necessary. 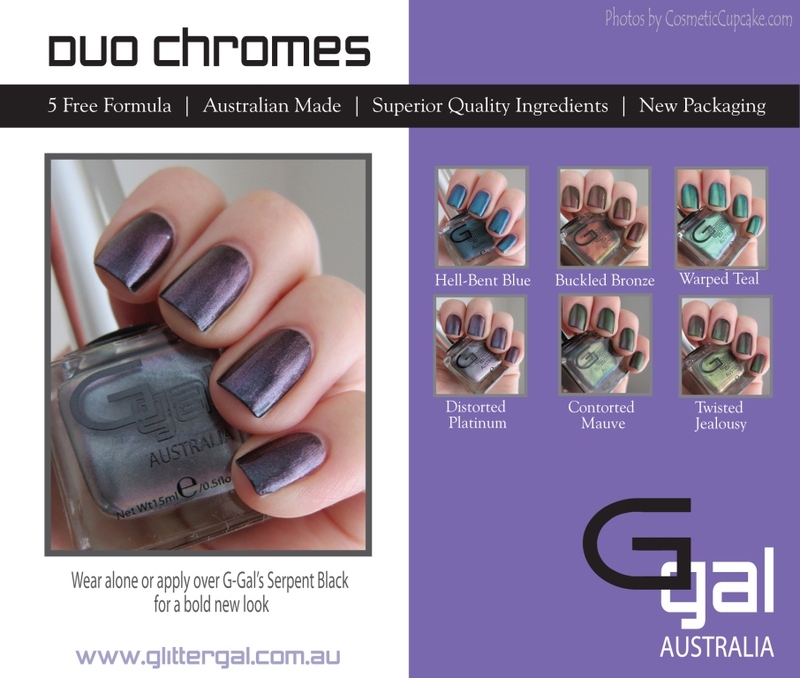 The Glitter Gal Duo Chromes retail for AUD $17.95 (15ml) and can be purchased directly from glittergal.com or through international stockists glittergal store locator.